Get safe and effective exercise while working at your desk, watching TV or any other time when you're sitting and your legs are free. 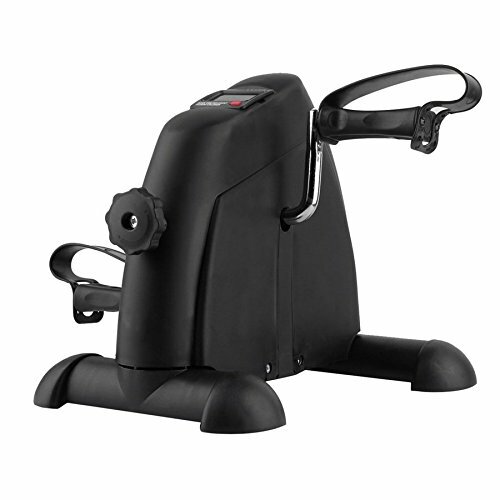 This Pedal Exerciser is beneficial for increasing strength and improving coordination as well as circulation. Versatile for both legs and arms exercises. Ideal for family entertainment and all ages of users. Sturdy frame and non-slip feet for safety and efficient. Comfortable pedal straps to keep your feet in place. Adjustable resistance knob to meet different physical condition. Multi function LCD monitor displays time, distance, total count and calorie. If you have any questions about this product by Lovelystar, contact us by completing and submitting the form below. If you are looking for a specif part number, please include it with your message.